Dirty 30's Open Back Banjo. The Dirty 30's Series sits at the perfect crossroads of classic sound and historic design. Like the original Montgomery Ward mail order instruments from the first half of the century, Dirty 30's guitars and banjos are the ideal companion for singer-songwriters, folk stylists or traveling troubadours. 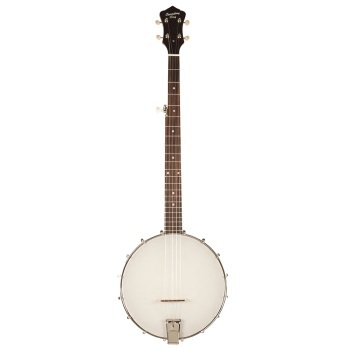 The Recording King Dirty 30's Open Back Banjo packs excellent playability and historic vibe into a retro-infused package that makes vintage style and traditional banjo sound accessible to every player.